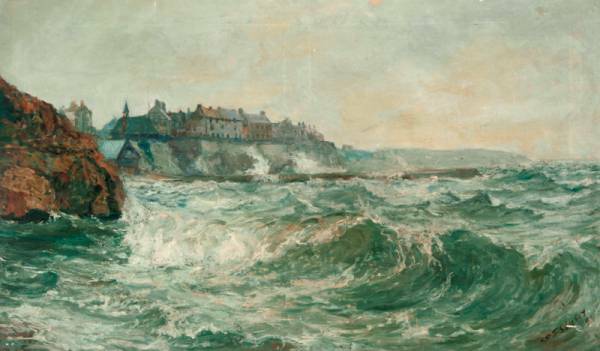 In the 19th century, the North East fishing village of Cullercoats became known as 'Little Bohemia'. This was due to the large number of painters (including the celebrated American artist Winslow Homer) drawn to its starkly beautiful coastline and unique atmosphere. The tradition continues to this day with many writers, artists and musicians living in and around the village. Cullercoats has also been home since the mid-70s to IRON Press, which has brought out an eclectic list of literary titles from authors in this region, nationwide, and abroad. Fancy casting off to sea in a small fishing boat? Taking part in a road run? Tackling fish, chips and haiku? We launch at the Festival, Nesting , a new book of stories by the North East's famous literary son, David Almond, whose first two books were from IRON Press. We welcome back our former assistant editor and bard of Barnsley, the irrepressible Ian McMillan. We are also delighted to welcome back Melvyn Bragg, who was published in an early edition of IRON Magazine, and who also hosted our 21st birthday celebrations at Live Theatre. There's also a late night Festival Club with entertainment and discounted food for ticket-holders and each event includes musicians/singers from the rich pickings hereabouts, and special guests magician/comic Steve Drayton and master magician Dillinger. Look out for the special Cullercoats beach spectacular too. 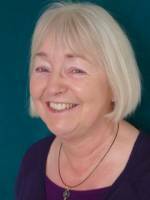 And some of the country's leading independent publishers will take part in a book fair at Cullercoats Community Centre, organised by Inpress Books Ltd.
Events take place in six venues, all on the small and attractive Cullercoats sea front. It's impossible to get lost! 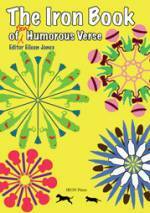 Writers read from our recent anthology - now reprinted - The IRON Book of New Humorous Verse (edited by Eileen Jones). 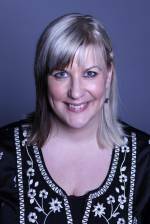 More than 200 people flocked to the launch event at the Hyena, Newcastle - including one USA poet (Julie Kane) who made an 8,000 mile round trip to read her one poem! The irrepressible and totally original poet, broadcaster, presenter of The Verb (Radio Three), and former asst. 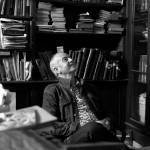 editor of IRON Magazine brings his unique blend of quick-witted observation, verse and spontaneity to Cullercoats for a show quite unlike any other in the poetry canon. Two new IRON Press books in the pipeline are by North East authors closely linked to the press. Both authors will read, as we give a taste of the future. Eileen edited the highly successful The IRON Book of New Humorous Verse . Her own first full collection, due early in 2014, is full of insight and wit. Kitty, playwright, novelist, and the acclaimed author of the celebrated novel Pigtopia , (Faber) has edited three short story anthologies for IRON Press. 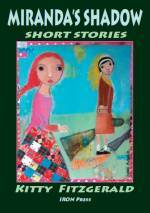 These 13 stories of her own, sometimes dark, sometimes fantastical, sometimes outrageously funny, will be published June 2013. The North Tyneside theatre and events company Dodgy Clutch stage a Festival spectacular. David Almond is now a globally acknowledged North East writer whose books, from Skellig onwards have been showered with prestigious literary awards. He was a virtually unknown author in the 80s and 90s, when IRON Press published his first two collections of stories. 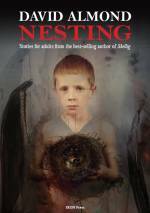 We are thrilled to be bringing out Nesting , which includes stories from both those early collections plus others. This is a rare opportunity to hear and read David's work directed at adult, as against young adult, audiences. Writers are invited to set sail on the high seas in a small craft with Cullercoats fisherman, John Stocks. This will be a unique (possibly hairy) experience, which we hope will lead to a whole clutch of quality sea haiku. Linked to Sunday's follow-up event. Having survived the North Sea on Saturday, the haiku writers now have a workshop at 10am with David Cobb, the acclaimed haiku writer, founder of the British Haiku Society and author/editor of various IRON Press Haiku books. This will be followed at midday by Bill's unique fish & chips, offering the finest fish to be caught in the North Sea, and a splendid sea view. 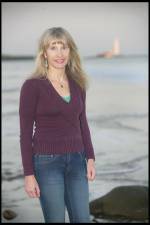 IRON Press will look at publishing a special Sea Haiku collection from this experience. 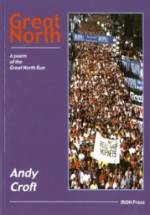 In 2005 the Teesside writer Andy Croft was first Writer in Residence for The Great North Run, the world's biggest half marathon, held on Tyneside. We published his thirteen-part poem sequence (one for each mile), titled Great North . Andy will give a full reading of this fine accessible long poem at 12.45pm - but at 11.00am the energetic amongst you are encouraged to join him on the two and a half mile sea front run from St. Mary's Lighthouse, Whitley Bay to Cullercoats. Transport can be arranged to the lighthouse. All runners receive a signed copy of the book, plus free entry to the event. Runners, please book ahead. Non-runners also welcome at the reading! 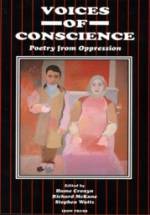 The final literary event is based round two major international poetry anthologies published by IRON Press; Voices of Conscience (1995) features the work of more than 150 of the 20th century's finest poets writing in 40 languages, persecuted, imprisoned, and sometimes murdered by the state. 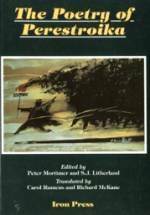 The Poetry of Perestroika (1991) was the only UK poetry collection to reflect Soviet poetry in the exciting new era of glasnost. The work will be read and discussed by Melvyn Bragg, poets Sean O'Brien and S J Litherland and actor Charlie Hardwick. Cullercoats Community Centre | Free entry and a free glass of beer from a barrel generously donated by Cullercoats Brewery - Small donation requested. Primate Productions are at present making a documentary film about the unique home of IRON Press which is based in Marden Terrace, Cullercoats. This magical mystery tour will be a psychedelic trip round the ultra-colourful premises. We hope to show this film as a postscript to the festival on the Sunday evening. Over the weekend, starting Friday evening, the Watch House, Cullercoats, will host the IRON Press Knock Out Snooker Tournament. No snooker hall in the world has a finer view than this historic, iconic, cliff-top building. Single or multi-frame heats depending on number of entries. The tournament is open to any writer published either in IRON Magazine or in an IRON Press book, and the final will take place on Sunday afternoon. The winner will receive a special silver trophy. The tournament is sponsored by Whitley Bay Snooker Club. THE FESTIVAL CLUB: All weekend, The Salt House, FREE. Over the course of the festival, the chic surrounds of Brown's Salt House Brasserie will be the place to meet between and after events. Keep your event ticket and get a special discount on food, served till 10pm. The Festival Club will be open till midnight and each night will offer some unique live entertainment including comedian/magician Steve Drayton, magician Dillinger plus several musicians. Each evening will see brief readings from two of the eight North East poets published in the new booklet celebrating this anniversary, The IRON Age . As the commercial publishing industry is increasingly swallowed up by giant multinationals, the role of the independent press is ever more vital. IRON is an active member of Inpress Books Ltd, the Newcastle-based organisation funded by Arts Council England, which supports and represents around 40 independent presses nationwide. Several of these highly individualistic publishers will have stalls at the Inpress Book Fair in the Community Centre on Saturday and Sunday. Discover a new kind of book! Refreshments available, including the renowned Cullercoats home-baked pies - both savoury and sweet! The North Tyneside theatre and events company Dodgy Clutch will stage a Festival spectacular on Cullercoats beach on Saturday morning, and will be decorating the village seafront. Look out also on the seafront for sudden appearances from the many buskers who appear weekly in North Tyneside pubs. This festival is supported by Arts Council England North East, New Writing North, North Tyneside Council and Inpress Books Ltd.